If Bill was a major league manager, he'd be "Blue Piniella." At least they broadcast the games in full color, right? 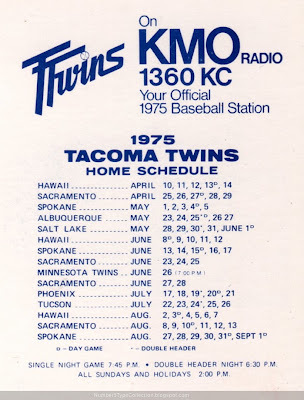 Bill lacked over-the-fence power, but why no call-up in 1971 or 1972? Until Bill Russell and Davey Lopes locked things down in 1973, LA's middle infield had big holes, with starters Jim Lefebvre and Lee Lacy both swinging average sticks at best. Instead of giving Ralston back-up duty, the Dodgers stuck with an end-of-the-road Maury Wills for a paltry 17 hits in 132 ABs (.129!). 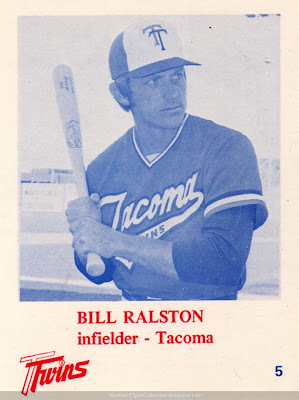 Not sure where Ralston headed after Tacoma--1975 was his final year as a player--but at least Bill's next job wouldn't be blocked by a guy hitting .129! Value: I bought this #5 for $2.70 from MinorLeagueSingles.com, about right for a mid-70s player who didn't reach the bigs. Fakes / reprints: I haven't seen or heard of any fakes in the market. 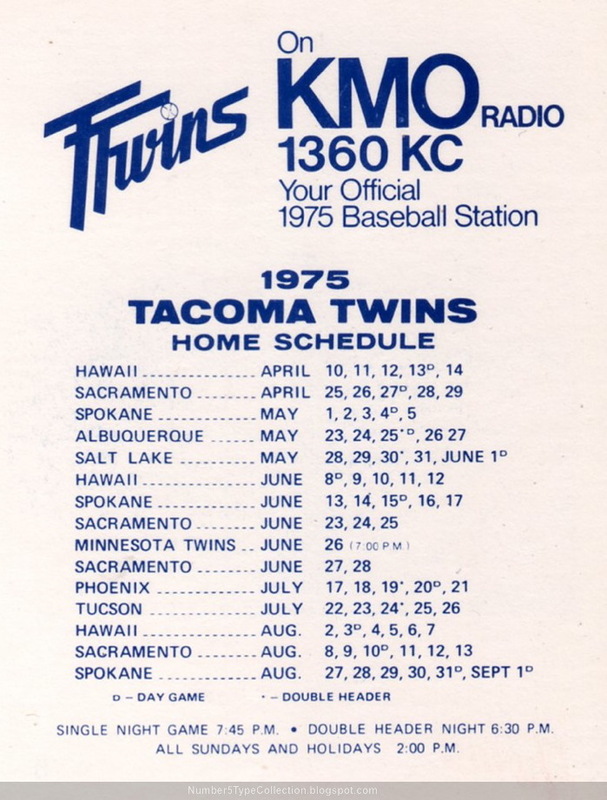 That's pretty cool that the Minnesota Twins actually played them in a game during the middle of the season, and at their place. You don't see that happening anymore. Good eyes on the MIN game, I didn't even see that the 1st time around! Can't find a box score for that exhibition, unfortunately. It'd be interesting to know what kind of team both sides fielded. Poll: What day and time do you post?